Today is the day we all have been dreading… the day we all return home!! Although we are sad to leave Puerto Rico, we are all looking foreword to get back home. Today’s blog is going to be a little bit of a different format: 1 person of each of the 3 teams is going to be writing a small summary of how each of their projects wrapped up and there will be lots of pictures that haven’t been posted yet, but are definitely highlights of this week. The team landed in Orlando at around 9:45 and landed in Atlanta at almost exactly 1 AM. 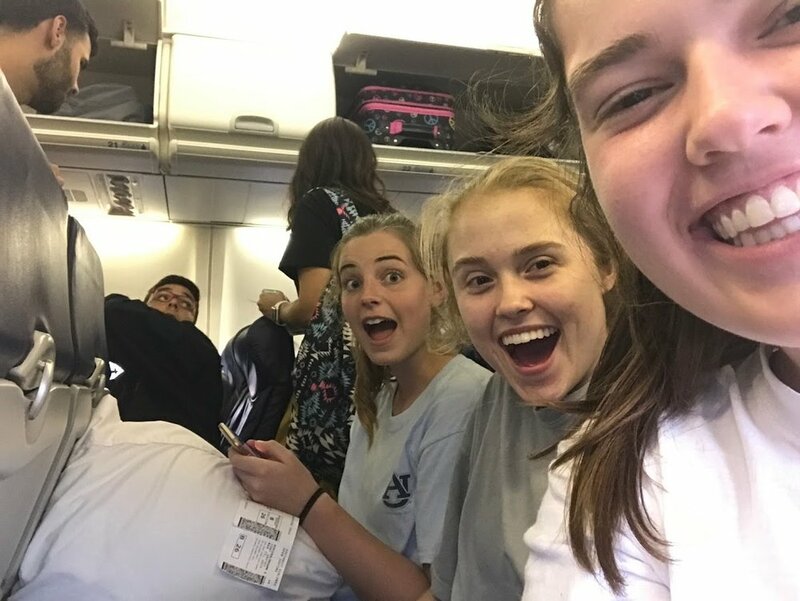 The group drove back to Auburn after landing, and arrived around 3:30 AM with only one bag not making it back to Atlanta (but arrived the next day and was picked up). 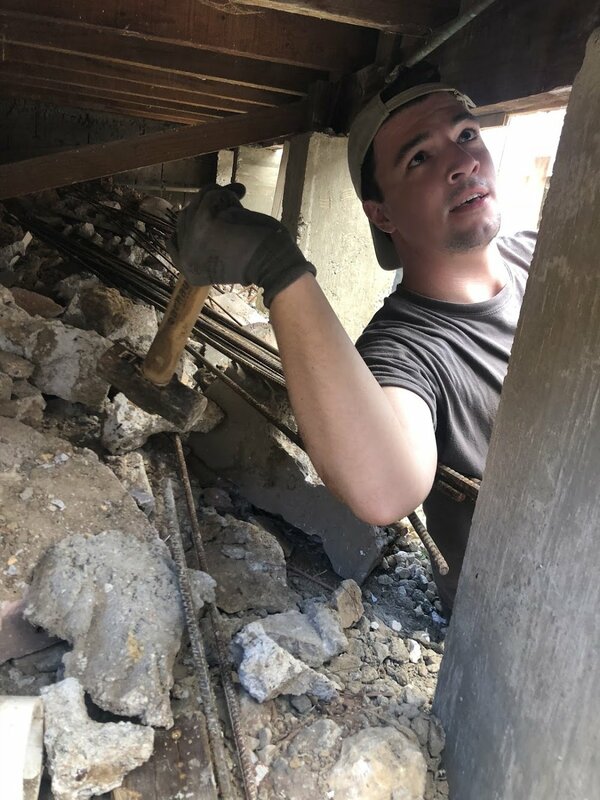 My team spent this week working on two separate houses in Carolina, San Juan. 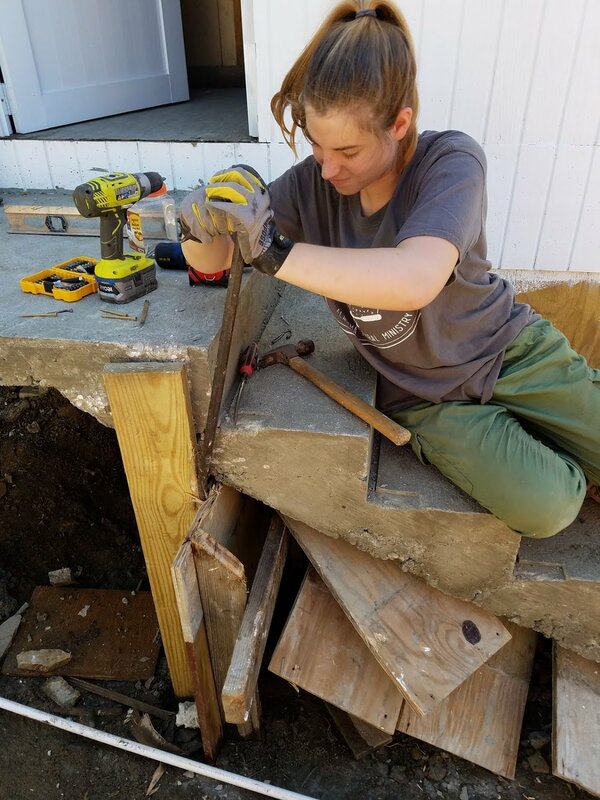 Tatum Connell and Becca Lamb worked with our translator Miguel to pressure wash and paint the roof of one of the houses, while J.T Mercer, Richard White and myself (Lindsey Baird) helped construct the metal beam supports for a new roof for the other house. We were able to almost completely finish the supports so the metal sheeting can go up. 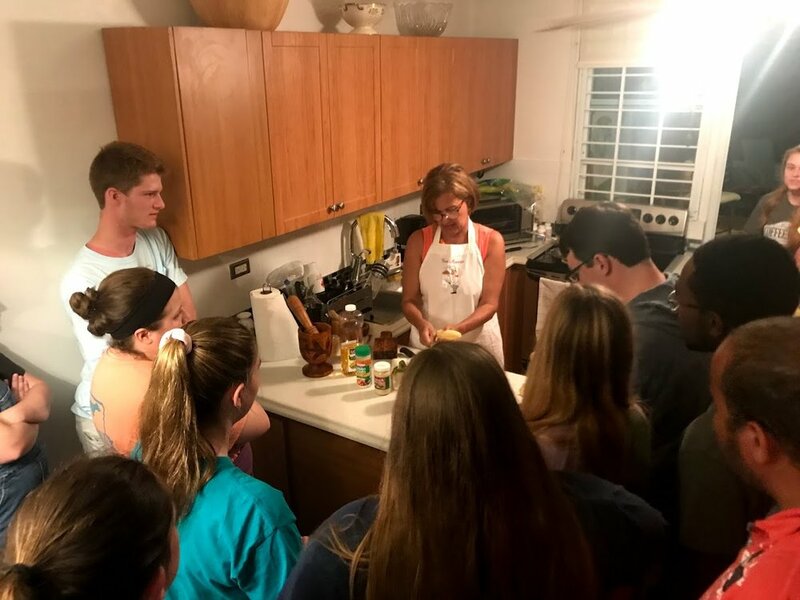 Overall we enjoyed our time serving in Puerto Rico and we look forward to returning soon! This week, my team and I worked in Levittown, an area about 40 minutes away from where we are staying. Our work was all upstairs on the second floor for the additional home (build on top of the original home on the first floor) — mainly installing metal framework for the floors inside the house, adding concrete and siding on the outside of the house, and removing tile in and around the house. Every day on our site was a blast. By the end of the week, we were able to solve a mystery as to why and where water was filtering in between the original ceiling and the false floor! Although the days were hot and long, looking back on this week we ran off of one another’s enthusiasm and energy, and had fun every day. Our formen were always joking and laughing with us. We enjoyed ice cream sandwiches together once the days work was completed. I will miss the friendship and comraderie we built with them dearly, and am glad we got to work with them this week. As a team, we bonded and shared a lot together during lunch devos and encouraged one another to try new things and when things got tough. This trip will forever hold a special place in my heart and I am thankful that I stepped out on faith to go and serve. Team Hot Pants definitely finished strong after a long week of hard work. 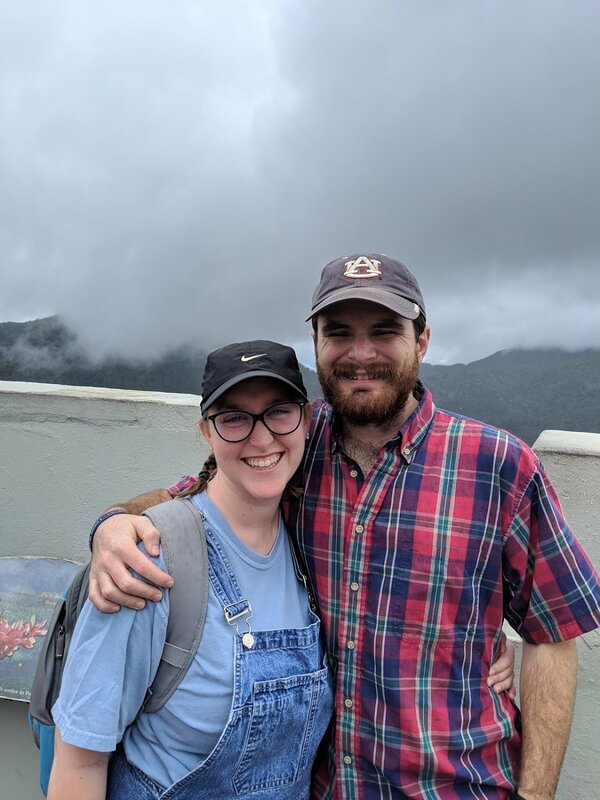 The old water pipe that Bekah Wommack and Ben Gourley had been drilling and digging for was finally found and replaced, fixing the water leak. After removing the old cabinet and sink in the kitchen, Sarah Jane Thompson, Josh Ellis, and I replaced a rotting floor board, and with the help of our whole team, we installed a new sink, counter, and cabinets. We also built a back staircase out of the concrete we mixed. 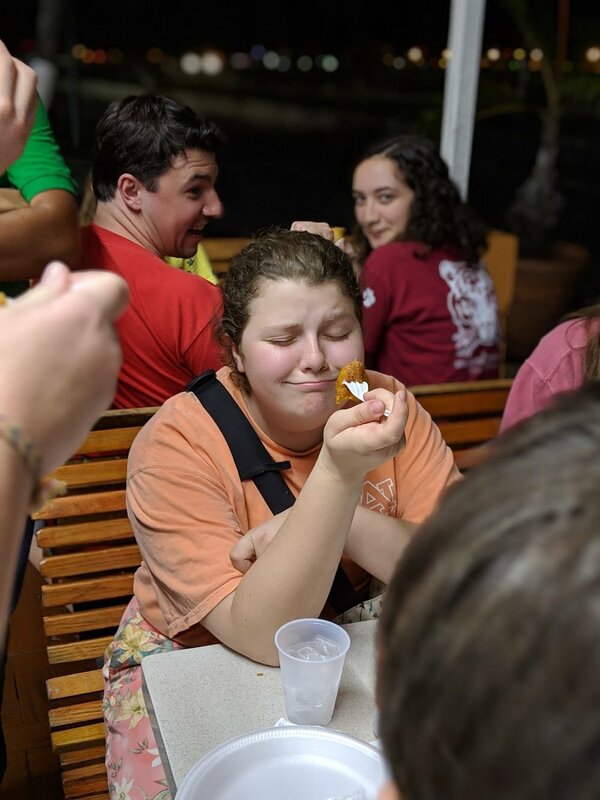 It was so great to work hard, see results, and most importantly, form relationships with our translator (Ivonne), foreman (Pastor Juan), and homeowner (Antonia). Overall, it was a fantastic trip and I couldn’t have asked for a better spring break. Thank you for reading the blogs and keeping up with us! 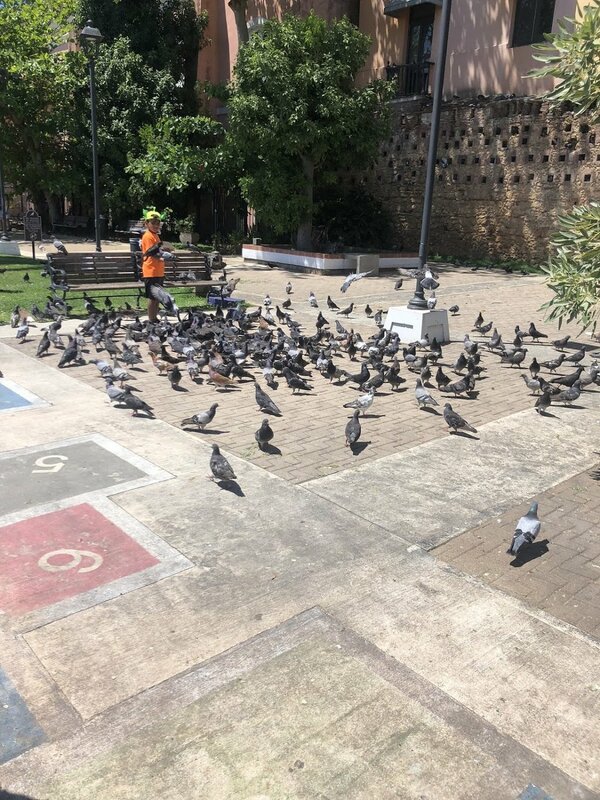 This is the pigeon park in Old San Juan. The pigeons here are so used to humans that they don’t even fly away unless you get very close them them! One even landed on Becca Lamb’s shoulder! JT Mercer and Ben Gourley tried some pulled pork from Bebos. They LOVED it! !